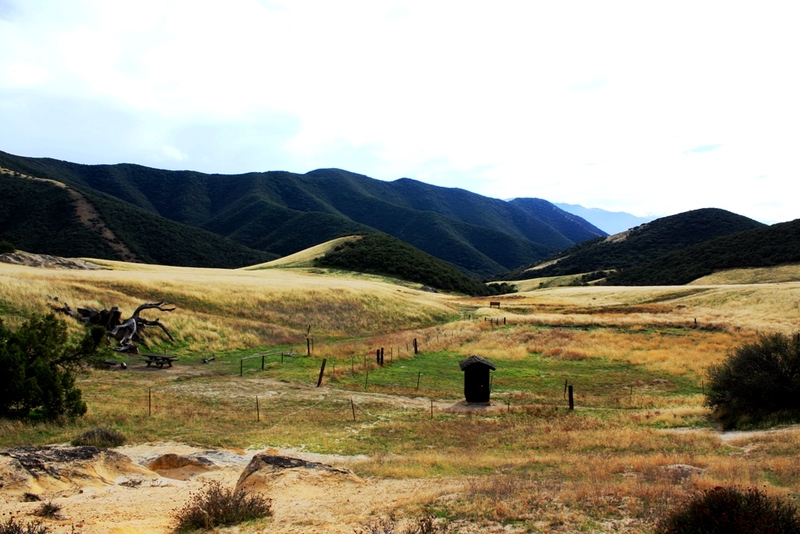 Looking east over Painted Rock Camp, which is hidden behind the oak tree on the right, and toward Pine Corral. Sapaksi or the House of the Sun painted cave can just barely be seen on the left as a darkened area in the rock formation. 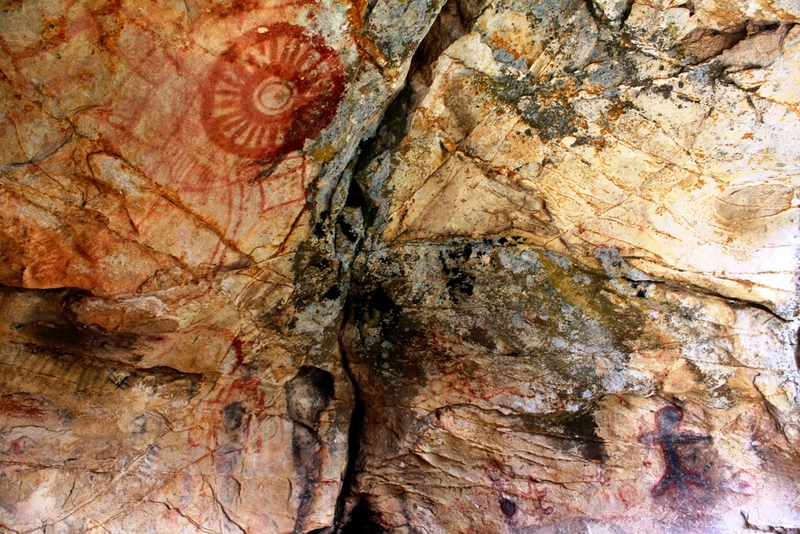 The large disk-shaped pictograph in the House of the Sun cave. Many other designs are also painted on the walls of the cave. 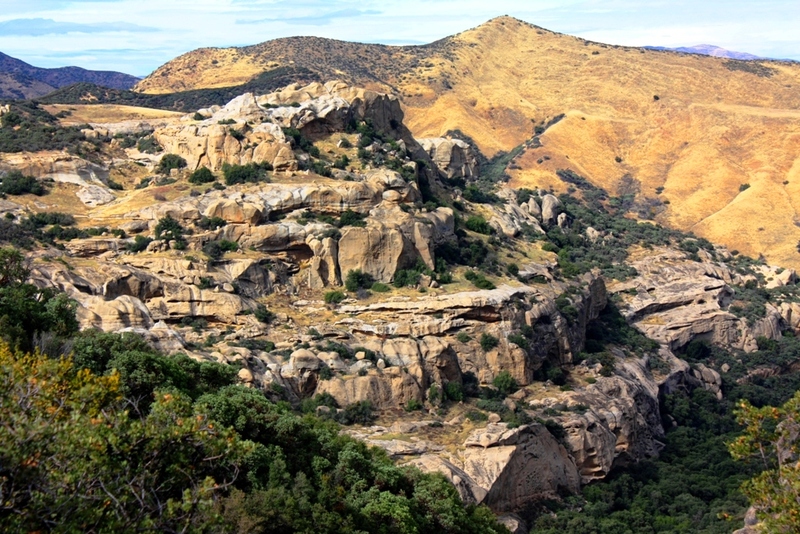 The west side of Lion Canyon, which is just east of Painted Rock Camp. This is one of the most spectacular rock formations in the Tri-County region. 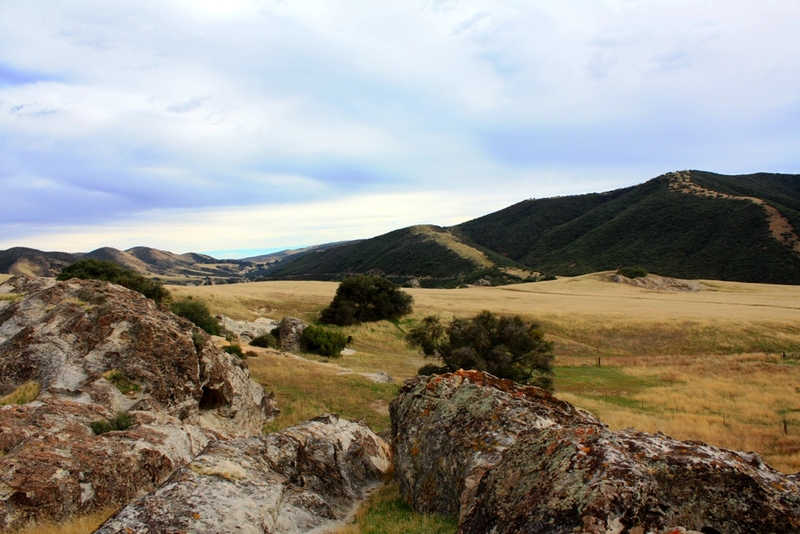 This entry was posted in Santa Barbara County and tagged Bedrock Mortars, House of the Sun, Lion Cayon, Montgomery Potrero, Painted Rock Camp, Pictographs, Reference, Sapaksi, Sierra Madre. Bookmark the permalink. Just stumbled across your blog. Great content. I too, love the local backcountry and spend a lot of my free time exploring the creeks and canyons searching for rock art, fossils, waterfalls, etc. Hey Nico. Thanks for stopping by.